The other day, I was hanging out in the datacenter with a friend who has a long history of teaching Microsoft certification courses at New Horizons and the subject of monitoring classroom screens came up. He said that he wishes he had VNCScan in the past so that he could monitor the classroom desktops to tell how far students are in their labs or if they were grasping what he was teaching. He stressed that he had been using VNCScan for a while and didn’t even know of this priceless feature so I absolutely must spotlight it in a blog post. I couldn’t agree more so here it is. 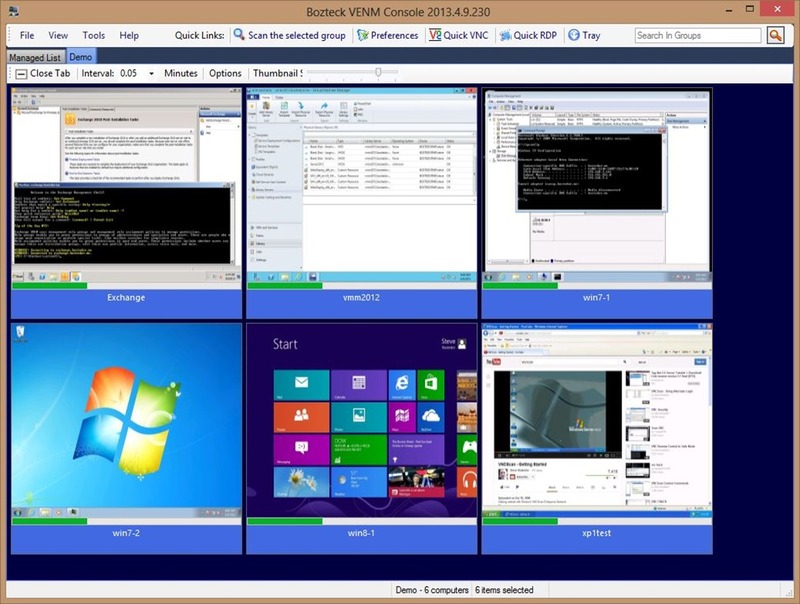 VNCScan can capture the screen of remote computers without the reliance on VNC or any other client software on the remote computers. We use a patented method of snapping and returning the screenshots in a way that is extremely lightweight The process does not disturb the desktop in any way and the tool does not stay resident on the PC once the capture session has completed. Please watch this video for a demo of this cool feature and give it a try yourself! This entry was posted in Announcements, how-to. Bookmark the permalink.